Partitioning means that Cassandra can distribute your data across multiple machines in an application-transparent matter. Cassandra will automatically repartition as machines are added and removed from the cluster. Row store means that like relational databases, Cassandra organizes data by rows and columns. 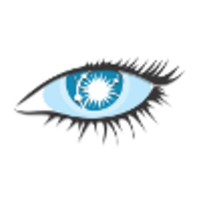 The Cassandra Query Language (CQL) is a close relative of SQL. Dynomite is a generic dynamo implementation that can be used with many different key-value pair storage engines. Currently these include Redis and Memcached. 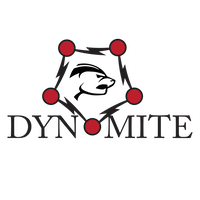 Dynomite supports multi-datacenter replication and is designed for high availability. Why do developers choose Cassandra? Why do you like Cassandra? Why do developers choose Dynomite? Why do you like Dynomite? What are the cons of using Cassandra? What are the cons of using Dynomite? What tools integrate with Cassandra? What tools integrate with Dynomite? What are some alternatives to Cassandra and Dynomite? Real-time: For real-time updates, Stitch has a processor application that handles a stream of events coming from a broker and increments the appropriate counts in Cassandra. Batch: The batch part is a MapReduce job running on Hadoop that reads event logs, calculates the overall totals, and bulk loads this into Cassandra. Cassandra is our data management workhorse. It handles all our key-value services, supports time-series data storage and retrieval, securely stores all our audit trails, and backs our Datomic database. While we experimented with Cassandra in the past, we are no longer using it. It is, however, open for consideration in future projects.